short-term agreements. The CEE portfolio occupancy rate was a record 97.4 percent. 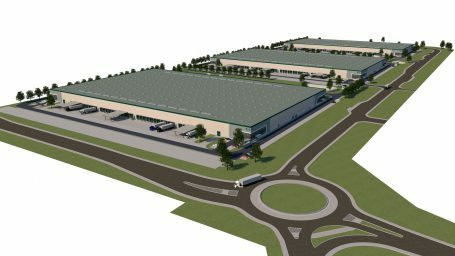 Prologis acquired 81.59 hectares of land for Prologis Park Bratislava and a further 12.75 hectares for its new park, Prologis Park Nitra, in Slovakia. During 2017, Prologis sold 10 facilities totalling 365,440 square metres and 25.86 hectares of land located in Poland, Slovakia and the Czech Republic. Building 18, constructed for the leading Czech sports retailer Sportisimo at Prologis Park Prague-Rudna, became the first logistics facility in the Czech Republic to receive BREEAM’s highest accreditation rating of Outstanding. This is only the second such building in Central and Eastern Europe to receive this rating. In 2017 the company leased 168,600 square metres and ended the year with a record 97.5 percent occupancy. Prologis delivered three buildings totalling 57,000 square metres and began the development of three facilities totalling 66,500 square metres.